The first Turing gate, a mere hundred nanometers across, is forced open in 1963, at the high-energy physics laboratory in Brookhaven; three years later, the first man to travel to an alternate history takes his momentous step, and an empire is born. For fifteen years, the version of America that calls itself the Real has used its Turing gate technology to infiltrate a wide variety of alternate Americas, rebuilding those wrecked by nuclear war, fomenting revolutions and waging war to free others from communist or fascist rule, and establishing a Pan-American Alliance. Then a nation exhausted by endless strife elects Jimmy Carter on a reconstruction and reconciliation ticket, the CIA’s covert operations are wound down, and the Real begins to wage peace rather than war. But some people believe that it is the Real’s manifest destiny to impose its idea of truth, justice, and the American way in every known alternate history, and they’re prepared to do anything to reverse Carter’s peacenik doctrine. When Adam Stone, a former CIA field officer, one of the Cowboy Angels who worked covertly in other histories, volunteers for reactivation after an old friend begins a killing spree across alternate histories, his mission uncovers a startling secret about the operation of the Turing gates and leads him into the heart of an audicious conspiracy to change the history of every America in the multiverse-including our own. 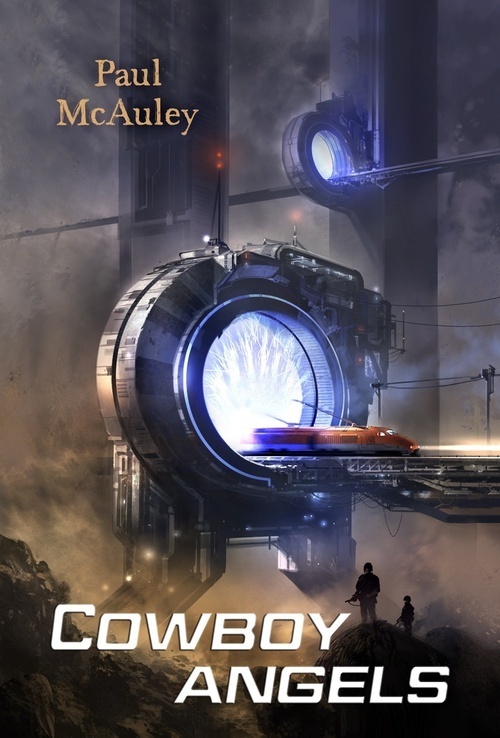 Cowboy Angels is a vivid, helter-skelter thriller in which one version of America discovers the true cost of empire building, and one man discovers that an individual really can make a difference. i09.com has exclusive promo rights from the publisher, so you can read the first three chapters of the book on their site. Previous postWin a Chance to Meet Stephenie Meyer at an International Event! Next post10 Books to Look Forward to in 2011!